Your airline may already have online check-in but still wants to bring uptake closer to 100% and make better use of limited airport space. Let us help more of your travellers to bypass the frustration of queuing at desk check-in at more or all of your airports. Ink Web Check-in gives your passengers the ability to check-in from the comfort of their home, office or hotel room later than other airlines permit. Allow (or restrict) seat changes only in rows that you want to, in accordance with preset business rules. This customisation reduces the number of exceptions that need to be manually handled in the airport. The core strength is the single unified experience we provide while communicating with multiple underlying DCS from various providers operating your flights at station-level. When combined with Ink DCS and the rest of the Ink Ecosystem, all of our solutions work seamlessly together. An immediate benefit is the ability to leave Web Check-in open as late as your desks without creating issues in the DCS, bag drop or baggage handling process. What makes Ink Web Check-In different? If your airline already has online check-in, why would you need this? Our Content Management System permits configuration of what is shown on your boarding pass with powerful business rules. Text and images can vary by origin, destination and more. Powerful multi-sector Web Check-in on the same airline or with Interline Through Check-in (IATCI). Passengers then get boarding passes for all through-checked sectors. Select which passengers from a group at the start of the process. Send group boarding passes to a single recipient or to individual passengers. 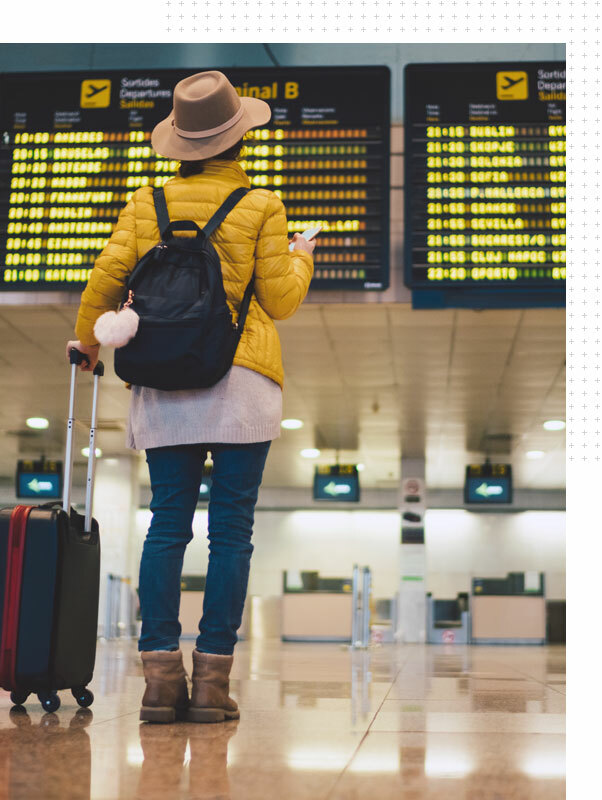 Collect Advanced Passenger Information for US Secure Flight (including Overflights), UK iAPI, US Secure Flight, SITA APP and the APIS requirements of dozens of other countries. We expose all of our Web Check-in functions through our Developer API to enable you to build your own visual interface while leveraging the power and connectivity of Ink. Open a new revenue stream by effortlessly embedding paid advertisements into your boarding passes. Reduce the overhead costs of having most of your passengers check-in at the airport. Charging penalty fees for in-airport check-in can rapidly influence passenger behaviour to check themselves in online. Maintaining a large proportion of in-airport check-in incurs significant operational costs such as expensive CUTE fees per desk hour, staffing for those desks and even boarding pass paper. The biggest impact of checking-in most or all of your passengers in the airport is delay because processing capacity is throttled at the end of each queue. When coupled with Ink Touch and Ink DCS, Duty Managers can manually override the availability of Web Check-in for a particular flight. We give you control of your channel mix between Web, Kiosk and Desk Check-in and the ability to transition passenger behaviour gradually without disrupting your operation. Web Check-in provides another retail opportunity where passengers can be offered Ancillaries such as Premium Seats, Upgrades, more baggage, lounge access, Fast Track through security and so on. 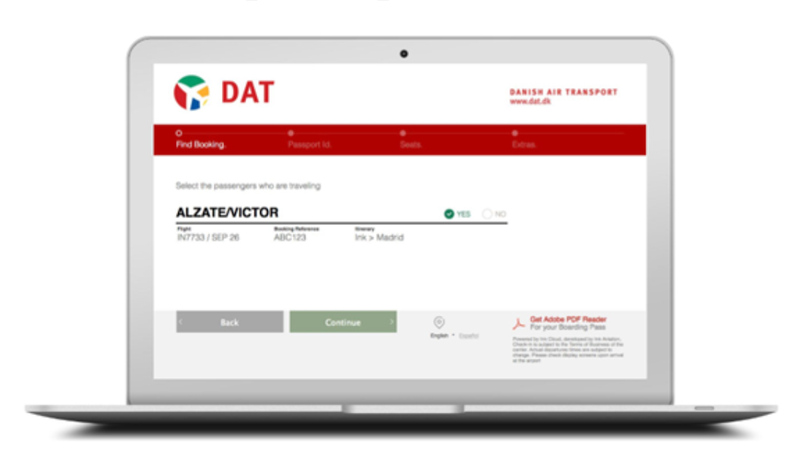 Deliver boarding passes in a variety of digital formats such as e-mail, PDF, Apple Wallet and Google Pay). 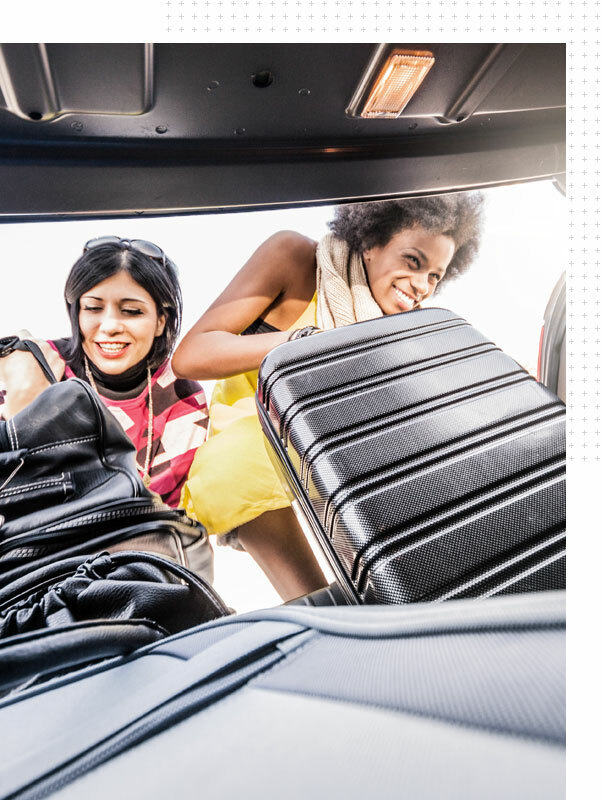 Ink Web Check-in helps make hassle-free trips for your passengers. Allow them to check-in on the move or from the comfort of their home, office or hotel.